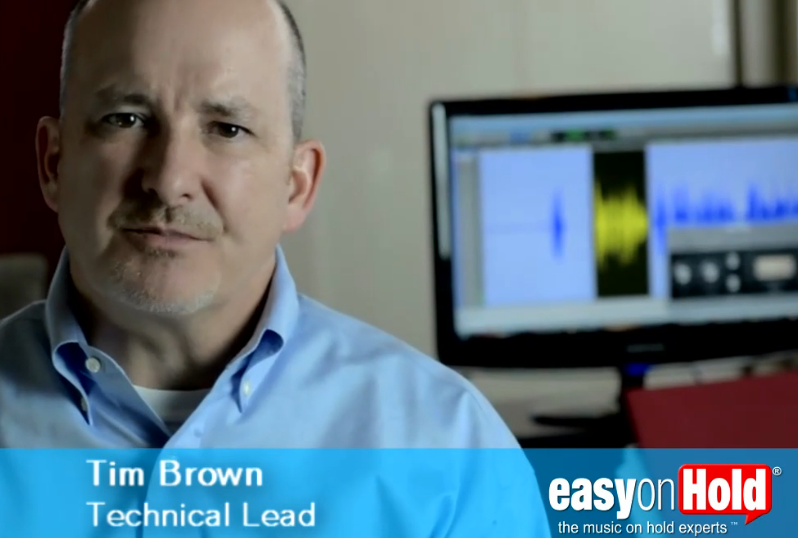 Easy On Hold® is a Michigan company providing custom audio services for businesses worldwide. Over a 21-year history, our company, Easy On Hold®, has been a leader in the telephony music on hold messages space. Our streaming music service, Brandi Music is gaining popularity as a solution for licensed music in retail and business environments. 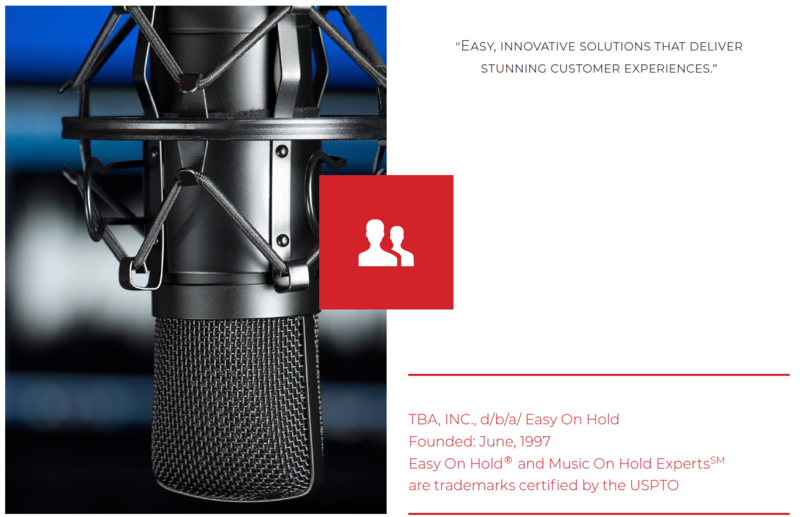 Easy On Hold® (EOH) is a leading provider of music and messages for telephone on hold systems and related business voice and music services. The company was founded in June, 1997. 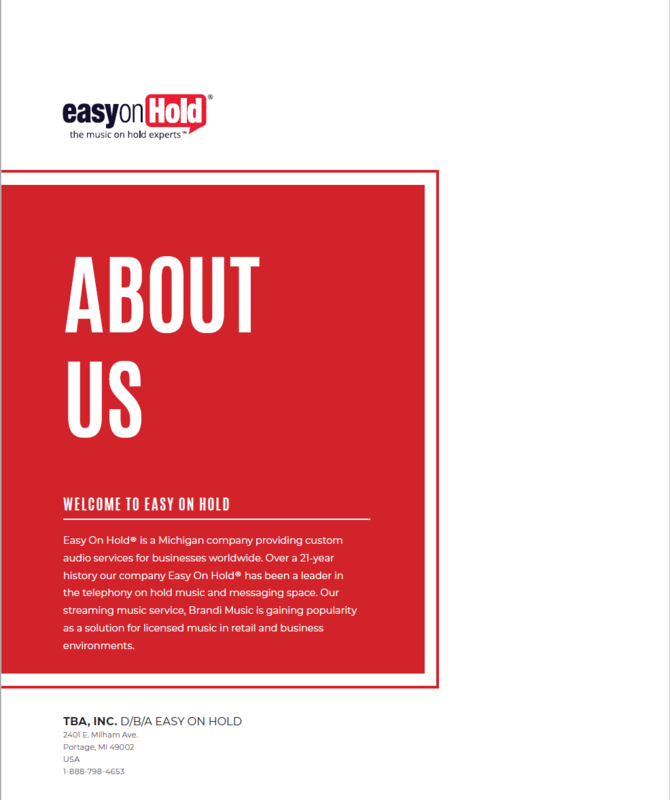 Since inception, Easy On Hold® has focused on innovation in an industry that had grown stale. We have replaced repetitive, unimaginative phone-on-hold messages with dynamically generated content. 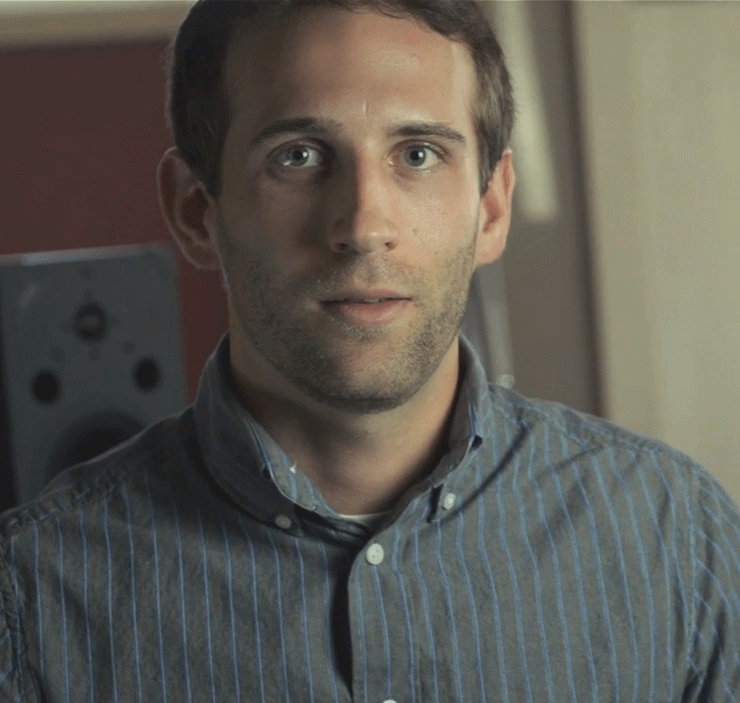 The result is a friendly, professional, always-up-to-date sound that will impress callers and reduce hang-ups. Our proven technology platforms deliver high-quality licensed content, including music for retail, restaurant and office space as well as the unique “logo radio” programming that adds simple branding to popular music streams. The term music on hold messages refers to marketing announcements played to callers while they wait on “hold” on the phone. They are a standard, necessary feature of business communications. Most providers in the messages on hold space do not provide the premium streaming technology and user tools offered by Easy On Hold®, putting our company in an elite position in the marketplace. Call centers, medical facilities, credit unions and agricultural equipment dealers are among the markets that depend on telephony as the link to valued clients and patients. Other markets include manufacturing, automotive, apartment management, fitness, salon/spa, education (colleges and universities), assisted living, real estate, veterinary, building and construction, trucking and logistics and technology businesses. The ownership at TBA, Inc., the parent company of Easy On Hold®, has launched a background music service called Brandi Music (“your brand, your music”) that operates on a robust streaming music platform. Brandi Music is easy to use, affordable, dependable and sounds great in any restaurant, grocery store, office lobby, spa, etc. The EOH Management Team is comprised of seasoned marketing, communications and sales leaders. Founder Tim Brown is a veteran of recording and messaging. President Julie Cook has 26 years of marketing and sales experience. Client Retention Manager Jen Fisher has a long history in leadership at Easy On Hold®. Production Team Leader Jamie Ferguson applies fulfillment and logistics expertise to maintain our 3-day turnaround promise. The increasing acceptance of pay-to-play streaming music services makes the ongoing development and innovation in the streaming music space worthwhile. 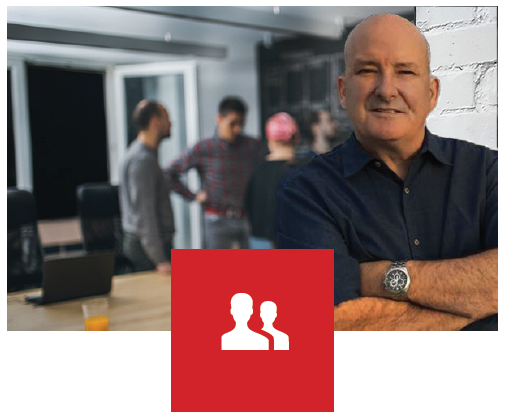 Ours is an aggressively growing company, having doubled gross revenues over a two-year period.Our focus is on driving customer value through research and development, user conveniences and ongoing growth in technology support. Our company values are: High Tech, High Touch, Excellence. High Tech means having technical competence; earning the label “music on hold experts”. Streaming technologies and user interface development are at the forefront of our High Tech efforts. High Touch represents our customer support philosophy and model. High Touch means providing frequent, quality communications with the customer; showing respect for others. We emphasize phone calls over emails; asking questions; seeking customer needs. Our High Touch Account Management Team makes thousands of customer contacts each year, resulting in consistently high customer retention rates. Excellence means being committed to quality work and self-improvement. What makes Easy On Hold stand out? Our strong customer service features. When clients need to make a change, there is no waiting. All audio updates are heard on the stream immediately. industries in need of centralized control of the phone on hold audio. Easy On Hold customers receive text message notifications when new music on hold messages are ready for approval, or when current content is getting stale. Are all of the topics in your on music hold message rotation equally important? Of course not. An upcoming event, a limited-time offer or new feature announcement deserves to be heard more often. Our exclusive priority scheduling feature assigns each topic a value that makes it play more or less often than others. Brilliant! With streaming on hold programming, each individual topic can be set to start and stop as needed. Set the month, week, day or even the time of day for each message. “Good morning” and “good afternoon” greetings are very friendly and impressive to callers. Our unique customer portal creates online convenience for users, which prompts greater utilization of our services and higher customer retention rates. See the video at https://easyonhold.com/music-on- hold/streaming/ to learn how Easy On Hold has reinvented messages on hold. In 1996, Easy On Hold founder Tim Brown called a restaurant to make a reservation. The hostess was busy and placed the call on hold. While waiting, Tim heard a radio station playing an advertisement for a different restaurant. It sounded good, so he hung up and went there instead. That experience inspired the Easy On Hold concept. A message from the president of Easy On Hold. “When you choose to do business on the internet, you don’t know what you’re getting. But at Easy On Hold, even though we may never meet you and you may never meet us, we promise to build an authentic relationship with you that you can trust. “You’ll know that every phone call is going to be returned; that what you bought is what you get; and that we care about you. We care about working with you to make sure that your message is exactly what you hoped it would be, and that it inspires your callers to do business with you in a way you never dreamed. All because of that message on hold. Radio host for 19+ years, founded Easy On Hold in 1997. Technical lead, marketing lead, R & D, voice talent. Serves as an elected official (Trustee) in Texas Township, MI. Radio news background. Marketing/PR director of Gilmore International Keyboard Festival for its first 10 years, managing a marketing budget of over $1 million. Growth strategies, personnel, operations, voice talent. Serves as president of Applegate Homeowners’ Association, member of Kalamazoo Youth For Christ Board of Directors. Long-term leader at Easy On Hold. Jen works closely with the Account Management Team to maintain effective and efficient processes. 20+ years of experience in fulfillment. Directs the Production Department. MUSIC ON HOLD MESSAGES: Streaming audio on hold or custom audio files. CREATIVE CONTENT MANAGER: Customer portal with built-in social sharing. VOICE – IVR – LANGUAGES: Professional voice recordings for a variety of uses. Translations; international voice over services representing over 30 languages. FUTURE CONCEPTS FOR CONTENT MARKETING: We’re always making the on hold experience more valuable. BRANDI MUSIC: 62+ channels of music, optional announcements. 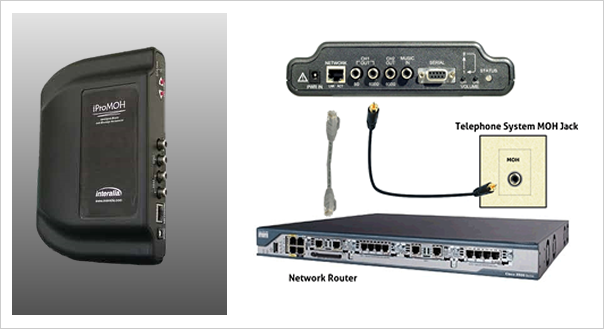 STREAMING DEVICE: Advanced hardware built for business, with remote upgrade capability. Advantage: Online tool for updating and maintaining effective messaging. Benefit: Confidently manage all content in one place. Convenient. 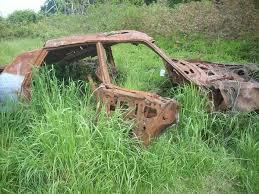 Advantage: Instant changes, “self-driving”, schedule in advance. Manage multiple locations with ease. Benefit: You’ll never play an out of date message. To save time, we can write and record now, and schedule to automatically player later. 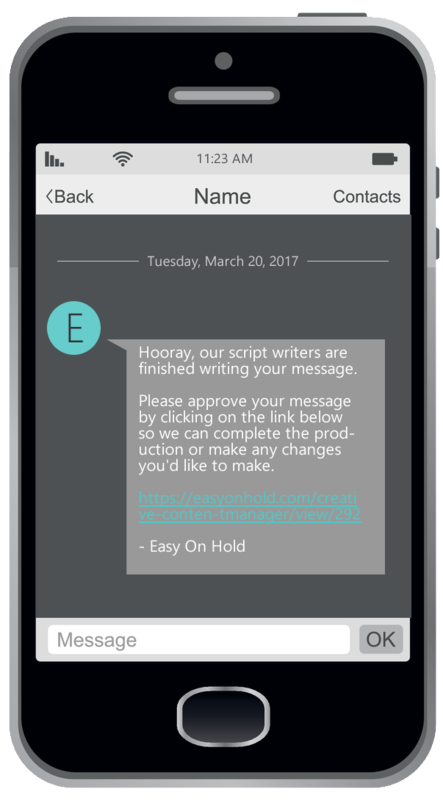 Advantage: CCM includes social marketing feature to get more out of your message on hold scripts. Benefit: A time-saving boost to your social platforms. Advantage: When content is getting stale, or a new script or audio is ready to approve, you will be notified in the way you prefer. Benefit: You can relax, knowing you will not need to “check in” on your creative content. You will get timely notifications. Advantage: Easy On Hold has always held an A+ rating from the Better Business Bureau, whereas others have not. Benefit: Integrity provides confidence in choosing Easy On Hold as your provider. Advantage: Highest standards of quality, as proven by our clientele, including T-Mobile, Progressive Insurance, Expedia, Shaw Flooring, Norwegian Cruise Line. Benefit: Enjoy the convenience of working with a professional firm with 21-years of experience. Business of all sizes are served. 70% of business calls are placed on hold. Consider recent shifts in customer attitudes. There’s a demand for fast service and high quality. Companies that miss the mark are exposed in social media rants. Marketers must pay extra attention to what callers hear while they wait. NYU Langone Health Center is among notable Easy On Hold clients in the health care industry. Easy On Hold chosen by 575 John Deere dealer locations. Easy On Hold services major call centers. The message on hold is an inbound marketing strategy (as opposed to outbound or interruption marketing). Hubspot® (an Easy On Hold® client) reports that 92.7% of companies using inbound marketing increase their lead generation. Using a non-traditional platform to provide relevant information is the preferred approach for marketers today and in the future. In fact, content marketing was rated as the most important technique for driving incremental sales in 2017, according to Smart Insights. Almost every business has an active social media presence, in hopes of “clicks” and “follows”. 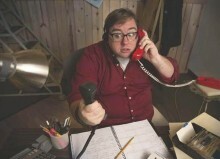 Our messages on hold is pushing callers to social sites. Easy On Hold’s® online tool Creative Content Manager includes social sharing buttons. URL-based streams for MOH (music on hold messages) may be used with Asterisk®, Free PBX®, FreeSwitch®, Genesys®, OnSIP® and other “off-premise” or centralized communications platforms. We anticipate growth in these platforms. 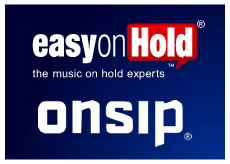 Now, as a Broadsoft Partner and PIKA Technologies Partner, Easy On Hold is integrating sip-based streams for music on hold messages. In addition, our technology team has integrated with Megapath to create the first platform-wide hosted music on hold message system. Recently, some on-premise platforms have allowed direct programming of a streaming URL for MOH: iPitomy®, Fortinet®, Avaya® 7.0+. As a trend, we see an increase in telephony platforms using streaming music and messaging content. Most on-premise telephony systems will accept an analog audio input, meaning a streaming audio device can be implemented. All overhead/background systems require an on-site device. A stream allows dynamic music on hold messages content creation that never goes out-of-date. With over 30 million Americans now enjoying streaming music services, the idea of a streaming music service for business is a logical approach. Businesses are beginning to leverage streaming technology in meaningful ways.